At Google X, the company’s now-not-so-top-secret R&D lab, engineers and neuroscientists and artificial-intelligence experts dream up a future without the pressure of market deadlines: driverless cars, robots, space elevators. But for lead product manager Steve Lee, his X pursuits are anything but an exercise in the fantastical: Project Glass, the futuristic eyeware he’s developing with an interactive heads-up display, might just hit market in the near future alongside products like Gmail and Android. For Lee, it’s a matter of wrangling a sci-fi idea into a practical product. Whereas Apple and Microsoft have grounded their mobile future in the belief that the Post-PC World will revolve around the pillars of smartphones and tablets, Google is adding a late, left-field entry into the mobile space that’s as much of a technical feat as it is a fashion statement. In the first part of our interview published earlier week, Lee told Fast Company “something like this has never been created before.” Today, he tells us what goes into designing a product like Google Glass. The Problem: How Do You Keep People Connected, But Still Present In Meatspace? What takes 60 seconds on a phone will take two to four seconds on Glass. Another Problem: How Do Users Interact With It? We’ve gone from mouse and keyboard controls on PCs, to touch screens on smartphones and tablets, to hand gestures on Xboxes. 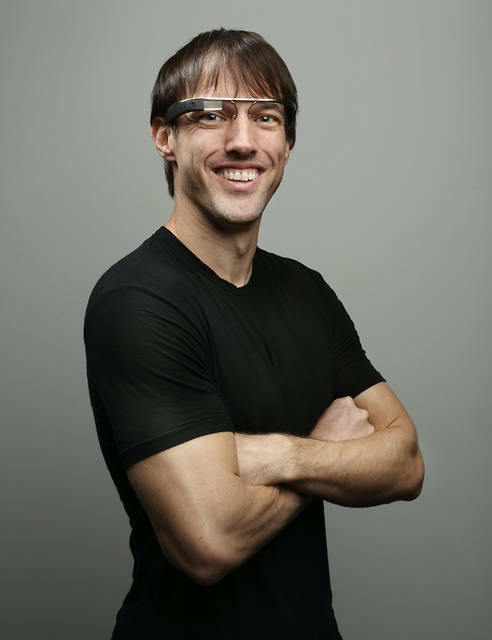 Now with Glass, Google wants to move to the next level of interactivity. But how? Lee’s team hasn’t settled on specifics but he takes me through the experimentation process. We’ve dabbled and experimented with lots of different types of input. Steve Lee. Photo by Christophe Wu for Google. I’ve never thought about 0.1 grams before as much as I have on this project.